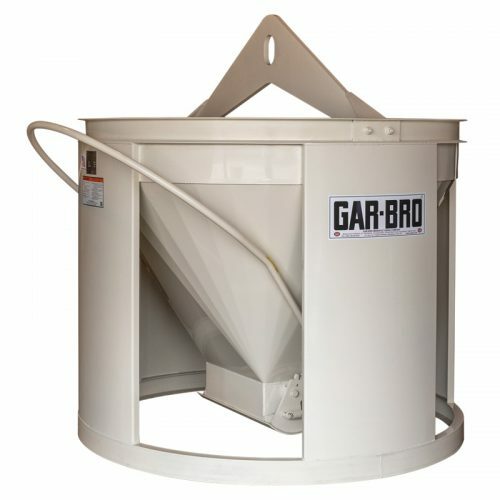 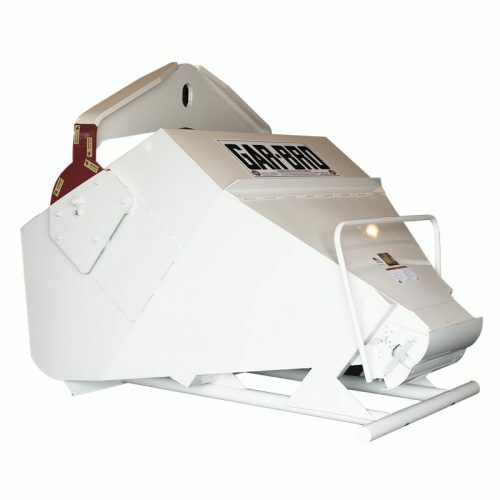 All “R-Series” Buckets listed above use optional item 409 Accordion Hopper. 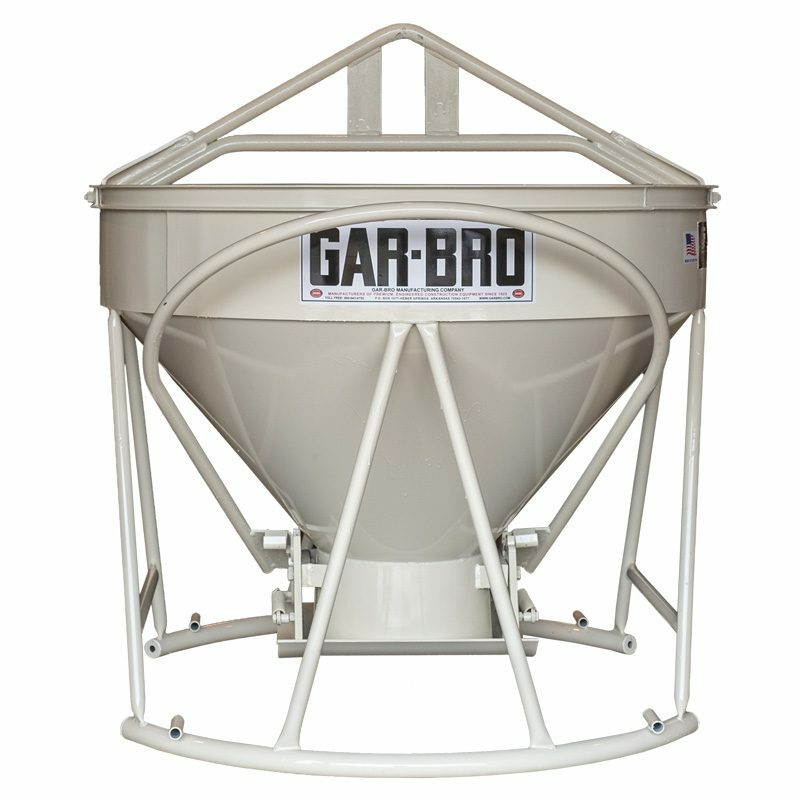 Optional 1/4 yard Extension Collars available for “G” and “R” series buckets. 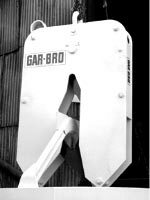 Optional 1/2 yard Extension Collars available for 1 yard and larger “R” series buckets. 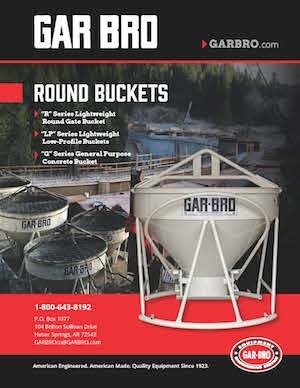 Optional forklift pockets available for all “R” series buckets. 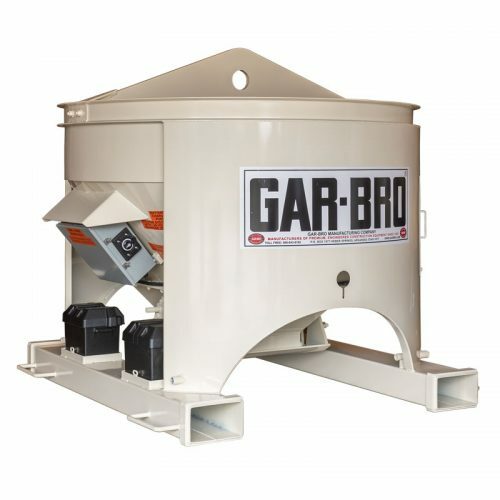 Optional item GAR-4 grouting attachment available.